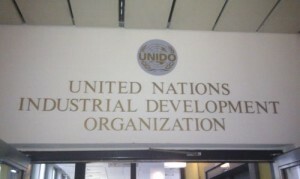 The United Nations’ Industrial Development Organization has started an International Centre for Advancement of Manufacturing Technology in Bangalore to implement the “National Program for Developing Indian Plastic Industry”. The project is aimed at small and medium-sized companies who want to be technologically competitive and cost effective. It helps these plastics firms address problems relating to low productivity, shortage of quality manpower, low adoption of advanced manufacturing technology, weak technology innovation, process capability, cost-efficiencies and a lack of specific knowledge of biodegradable plastics, through a wide array of interventions and initiatives, said Bhavna Mathur, senior project assistant for the centre during an interview at Plastivision India 2013. Plastivision took place in Mumbai. The project looks to hit those targets through a diagnostic study and gap assessment and action plan implementation at 100 plastics companies in India, spread across the five geographical clusters of Chennai, Bhubaneswar, Ahmedabad, Delhi and Mumbai. The project began in 2010 would have been completed this year with 20 companies which were covered under the original project. But now with positive feedback from the plastics industry, it may be extended. “The project would likely continue for many more years and would also add more plastic clusters coming up in other parts of India,” Mathur said. Besides improving on efficiency and productivity, UNIDO helps find the right consultant for small businesses participating in the program. Chennai-based twin extruder manufacturer FlyTech Engineering found a German consultant through UNIDO. “ICAMT helps us in saving energy and improving productivity,” said G. Sekar of FlyTech Engineering. The program works on three parameters to improve efficiency levels.One example is a quick die exchange technique such as a single minute exchange or improving energy usage.Blow moulder Mitsu Chem has drastically improved efficiency levels in tooling changes. “We used to take four to five hours to change products on a machine but with ICAMT, the efficiency levels have improved as we change the dies in 70-80 minutes,” said executive director Jagdish Dedhia. The company said it has improved efficiency by 32%, without investing new funds.About 15 small businesses were participating jointly under the UNIDO banner at Plastivision. Atul Rmbhia of Krupa Industries said the program helped it find space for two additional presses within its plant while Lalit Jain, managing director of Ahmedabad-based Arihant Vacuum Forming said it is helping his company improve its costs, energy use and equipment efficiency.